Health and fitness forums have become much more popular in recent years. Now that fitness and nutrition are a common staple in many people’s lives, these people are often reaching out to the internet to find the most reliable information possible. One major source of information that you will likely stumble upon when searching for health and nutrition facts are forums. Before I discuss my issues with these forums though I do want to give some kudos to the idea of forums and what they were/are meant to be. I’m not arguing that all fitness forums are bad, and I’m not arguing that people are intending to be malicious on these forums. I do want to start by explaining the initial purpose of fitness forums, discuss a few key forums, and outline how I manage to sift through the credible information on these forums. Fitness forums were starting on the internet in order to help those intending to gain strength, become more healthy, or just achieve their overall fitness goals. There are all sorts of different types of forums out there. Some common ones are fat loss forums, nutrition forums, cardio forums, Crossfit forums have become more popular, and bodybuilding forums. Forums provide a place for everyone to ask questions, and receive answers. This is a great model if the answers are discussed in an informed, rational manner. When people who are educated in the realm of health and fitness decide to participate in forums it perpetuates the level of health and fitness intelligence in the world. This is an awesome mission, and if forums held true to that ideal then I probably would be writing an article strictly offering kudos to these forums. There are some out there that allow for appropriate discussion and are moderated pretty heavily, but they are few and far between. No two people are the same. While your body type may be similar to someone else, your results can vary drastically from what other people who seem similar to you achieve. When you dive into a forum you generally see someone that you want to look like, or maybe they just write with a bit of conviction and you are then inclined to believe them. I have listened to a lot of people out there that I shouldn’t have in the past, and my results have been poor because of that. Once I realized that everyone is different and something that works for the jacked guy down the street may not work for me I finally started seeing the results I was looking for. In addition, people’s bodies react differently to diet/workouts. This is critical to understand because while the general science behind muscle development and nutrition is probably accurate, you may find that your nutrition requirements or level of physical activity are completely different than someone else. 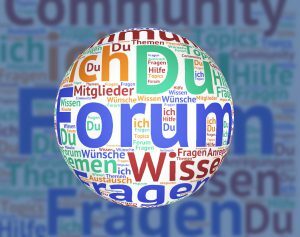 Forums are a good place to find general advice or topics that might work for you, but you should then research them independently before adopting such advice. Those that moderate forums try… I will give them that. However, the moderators may be somewhat negligent or lack knowledge just like those posting. This is tough because moderators then don’t realize when a really silly piece of advice has been offered. Maybe they just don’t checkup regularly and the forum gets out of control. If the moderator doesn’t monitor a thread it can lead to a whole storm of problems and ultimately can cause you injury or health issues. Moderators also have their own opinions. Maybe a moderator got fed up with one person posting on too many threads and has sifted through and deleted their comments because they didn’t agree. If that information was actually quality information you’ll never see it. I know that my focus here is on a lack of moderation, and that lack of moderation is probably the reason that many forums are filled with some of the additional problems I talk about. 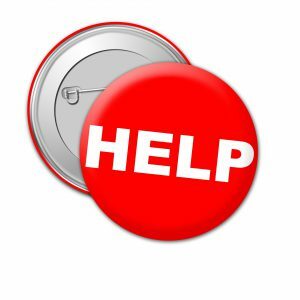 Everyone who has ever posted or asked for advice on a forum has probably received some flack from that roided out monster man that is always right. This is a struggle because when you disagree these people can get aggressive on the forum very quickly. The culture of forums has shifted from a healthy culture to one that breeds argument and aggression. It’s not fun to be a beginner looking for advice and have someone jump on the thread bashing you for whatever strange reason they come up with. This is becoming more and more common as these so called “fitness gurus” start to think that they know everything because they popped a few funny pills and suddenly can bench press a cool 400 pounds. I have personally seen people be blatantly rude to people not in shape that are looking to start, and to me, that’s not what this is all about. If people are looking to start their journey, provide them with as much information as you possibly can. Don’t put them down or tell them “you should just quit now”. That’s in quotes because I’ve seen it on forums before and it’s absolutely horrendous. I sort of touched on this already under the moderation issue. People can provide you with any information that they please. While they may not know it’s false information, many people posting on forums don’t do their research before they go offering advice. They gather information from other forums or social media and decide that is the route they want to go. Just because it works for them does not mean it’s “right” for lack of a better word. Your body and mind require a lot of maintenance and it pays to study it and consume the right information. Forums are not ideal for this since anyone can post. I have a serious problem with people lying behind the keyboard. I sort of talked about this when I wrote about the common issue dealing with social media fitness models or fitness gurus. Many people these days will tell you whatever they think you want to hear in order for you to purchase a product or manipulate you into trying their method. The problem is that people will blatantly lie to you. You have to be careful and be able to spot these sorts of people. A lot of lifters, forum posters claim to be the “all natural” bodybuilder or nutrition expert. However, they don’t tell you that they are consuming 200 grams of protein powder a day which is probably killing their kidneys. All of these issues lead me to my method of research and the resources that I am more likely to trust than forums. Where Do I Look For Information? So you are probably wondering then where to look for information. While I try and give you as much insight into a topic as possible, and I try to base my research solely based on real experimental results, some of my articles are opinionated. As long as you understand that coming in, and you don’t adopt literally everything I say (everyone is different as I mentioned before), then I would say I can provide you with some quality information all in one place. Sometimes you are better off doing non-forum based research through the scholarly journal sources on Google when you don’t find results on the topic you are looking for here at Incite Fitness. As you can see when you add the “scholarly articles” at the end of your search term you will see legitimate studies that have been peer reviewed and discussed by multiple authors and educated individuals that actually understand sport science, health, and nutrition. Often times these articles will be written by MDs. While they can opinionated, their writings are generally rooted in actual experimental results. I personally have a scientific background so everything I read and take to heart comes from articles such as this. 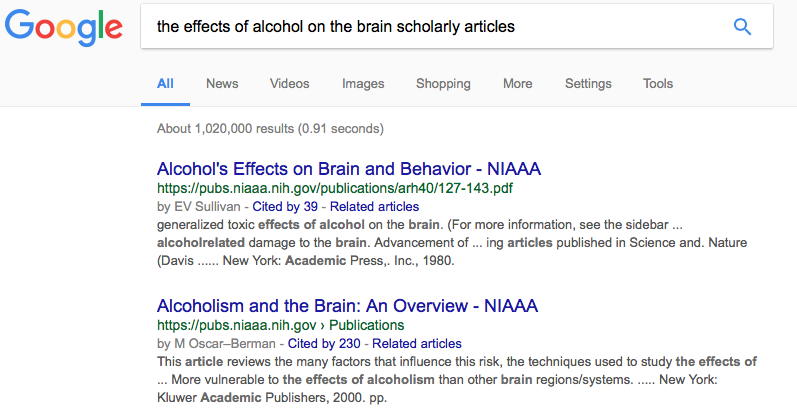 You can also see how many times a publication has been cited, and you are able to review related articles which are both awesome tools Google has implemented in recent years. This helps when you are looking for contradictory information (believe me, it’s probably out there). Hopefully this helps when you are looking for some health and fitness advice. Hopefully you don’t get too sucked in by a forum and realize that your own independent research will shed much more light on a topic than trusting just one source. If you have any positive or negative experiences with forums, or just want to ask questions in general, feel free to drop me a comment below! You are absolutely right about that two people are not same. For example I had cortisol couple of years ago and regular training types simply don’t work for me. And I had no idea about adding scholarly articles at the end of search term. These will definitely get more educated information to us. It’s amazing how some things adjust your entire training regimen. Figuring out what your body needs and how it reacts to particular trainings is probably the most important thing you can do for yourself. Keep up the good work, and definitely add the scholarly articles in there. It helps a ton! You’ve given me some good information. It’s hard to get started and harder yet to stay motivated. I haven’t yet tried any fitness forums out there, and I am glad I haven’t. I guess their parents never taught them that if you don’t have anything nice to say, don’t say anything at all. Thanks for the tip on how to do a google search. I think I will stay there for my fitness advice rather than a forum. Glad I could provide some food for thought here. It really is tough to stay motivated especially when we get so busy with every day life. I guess I don’t mean to deter you completely, it’s really just about finding the forum that works best for you. There are some very smart people out there it’s just a matter of sifting through those people and understand who seems to know what they are talking about vs. those who are full of it. I do suggest the scholarly Google search though, that’s my main go to for anything fitness/nutrition related and I usually dig up some solid, peer-reviewed, scientific stuff.